What’s the Deal: Black Tomato is offering a deal to Bighorn Lodge, which has eight deluxe guestrooms, heli-pad, spa, private cinema and private chef. 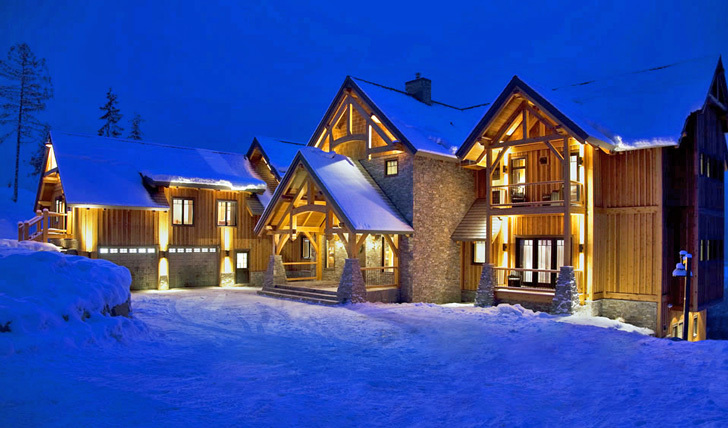 It is one of the most over the top private ski chalets in the world. It’s located in Revelstoke, in the Selkirk Mountains of British Columbia, the epicenter of the best heli skiing in the world. The Details: Seven days of heli-skiing at this opulent aerie. Gather your friends and family and stay for seven days from $15,056 per person from NYC (based on full occupancy). Black Tomato will throw in an additional complimentary day of heli-skiing with an expert mountain guide. Price includes accommodation, all meals (prepared by the private chef, , beverages, heli-skiing and one day guided skiing tour of Revelstoke Mountain, not to mention a professional videographer to capture your days on the slopes, flights, and transfers.